With just 10 days to go until the next news:rewired we are excited to announce our final speakers, as well as three optional lunchtime workshops. Eric Athas, senior digital news specialist at NPR, and Neelay Patel, senior vice president of incubation and innovation at The Economist, will be joining Anna Doble on the New Wave in Audio session. Didier Hamann, editor-in-chief of Le Soir in Belgium, will be joining the Engaging Younger Audiences session to talk about the outlet’s project #25, alongside Jeroen Zanen of Crowdynews. Christian Payne, blogger, trainer and creative technologist, will be revealing some of his favourite apps and tools for creating interactives in the visual storytelling session. Last but not least, Paul Gallagher, digital innovations editor at the Manchester Evening News, Ben Kreimer of the Drone Journalism Lab and Julia Wurz of Bullet News will be discussing drones, Google Glass and smart watches on the emerging technology panel. 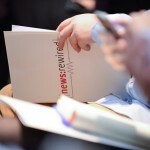 On Thursday 20 February, we will be running the next instalment of our digital journalism conference, news:rewired, which will look at key tools, techniques and skills being harnessed by newsrooms in the UK and further afield, and some of the big challenges and opportunities facing online publishers today. As well as the one-day conference, we are also offering an additional half-day of training, consisting of a series of three, three-hour workshops the following day (Friday 21 February). 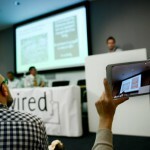 The workshops will be held at the same venue as news:rewired, MSN UK’s offices in Cardinal Place, Victoria, London. The digital journalism conference offers host of practical sessions and workshops for digital journalists. There will be workshops in: Google tools for journalists, Mozilla’s Popcorn Maker (for creating web-native video), mobile journalism, growing a social media community, and start-up journalism. Sessions will focus on: Curation: the journalist as manager, data-inspired stories, building participatory communities, online standards and ethics.